David Le/Gloucester Daily Times. 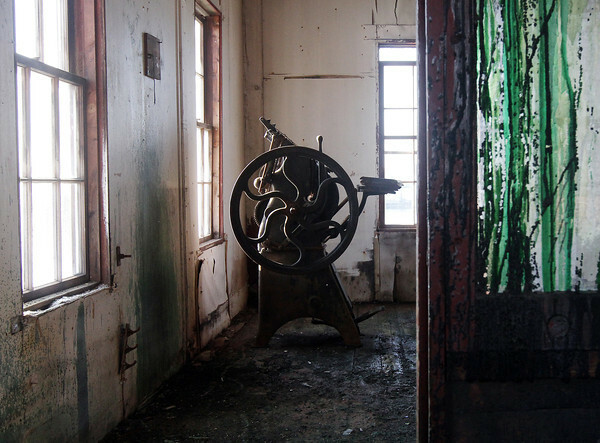 A heavily stained, paint-streaked door opens to reveal an old paint processing room in the upstairs of the Paint Factory on Rocky Neck. 8/17/11.